Vancouver is a port city and the main gateway for importing and exporting goods into our country. Vancouver is also a beautiful city. I happen to get to spend a lot of time there at our office(and not just because my daughter is going to UBC). 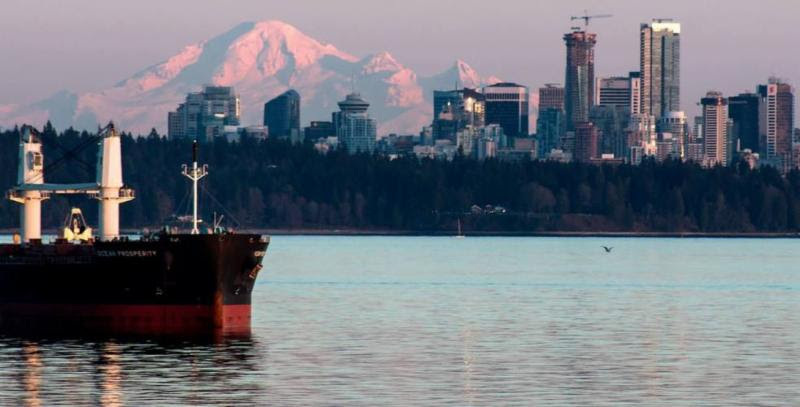 Many people in the shipping industry recognize the Vancouver port as immaculate and extremely well run. It has developed a world class reputation. One of the best practices is that for a ship to enter Canadian waters, it has to be piloted by a Canadian. The average pilot has thousands of hours of sea time and is chosen for their outstanding skills. It is known as the “big leagues” of this type of role. They get to sleep in their beds each night and make an average of $250K per year. All in all, an excellent gig. Leading a tanker full of millions of liters of oil through complicated waters, and leading a team have much in common. In the above quote, you can tell why he is so respected as a leader. He has excellent skills. He is well prepared. He has the tools he needs and trusts to make the most accurate decisions. He respects the skills of the professionals he leads. He guides and doesn’t demand. Everyone is piloting something in their life. It could be a team of 2 or a multi-billion dollar project. Those five principles are fundamentals for strong leadership. Strong, healthy leadership is not just good for those that that follow, but also good for those that are leading. CareerJoy teaches and guides teams and leaders to become more effectively leverage their strengths, and strengthen their gaps. Connect with us to learn how we can help you or your organization: Lee Grant, 1-877-256-2569 ext 00 or lee.grant@careerjoy.com.